The Paul Winn Band's second album. Pop/Rock vocals with a groove, playing melodic songs surrounded by a lush string quartet. 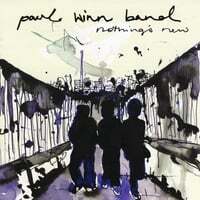 Paul Winn Band are a 3-piece Australian group from Sydney with a straight up guitar driven melodic pop/rock sound. Their new album “Nothing’s New” was produced, mixed and mastered by the band. Their influences range from The Police & Crowded House through to Dave Mathews Band & John Mayer. In 2004 they recorded their first album which had more of an acoustic singer/songwriter feel. Their music has been played on radio around the world and also included on films and TV.